When Edward Norton thinks about a trip of a lifetime, visiting Campi ya Kanzi, the Maasai community-owned eco-lodge in the Chyulu Hills of Kenya holds a top spot on his bucket list. When Edward Norton thinks about a trip of a lifetime, visiting Campi ya Kanzi, the Maasai community-owned eco-lodge in the Chyulu Hills of Kenya holds a top spot on his bucket list. "Every time I go I wish I had longer to spend there," says the actor who cherishes early morning walks with Maasai trackers or camping in a tent. In this wilderness region that Ernest Hemingway described in The Green Hills of Africa and The Snows of Kilimanjaro, zebras, giraffes, elephants and lions roam the plains. "To be alone in nearly 300,000 acres of pristine wilderness with young Maasai warriors guiding you into it is really a peak experience," says Norton. "Unlike any visit to a National Park, you can walk on foot, which I love." Meanwhile, Robert Fairchild's dream voyage is to take his father scuba diving in the Galapagos Islands. "Ideally, we would stay on a live-aboard and go diving all day long," says the Tony-nominated actor who co-stars in the hit Broadway show, An American in Paris. "I have heard incredible things about the islands both above and below the surface -- there are species that only exist there. A dream of mine is to swim with sea lions. And earlier this year Matt Lauer told Parade magazine "I love traveling and taking my kids to new places, challenging them and opening their eyes to a different location or culture. I want to take my kids to Machu Picchu and Easter Island, two places I went to on the Where in the World is Matt Lauer trips." It's understandable that Lauer would pick Easter Island, a very unique place on the planet. 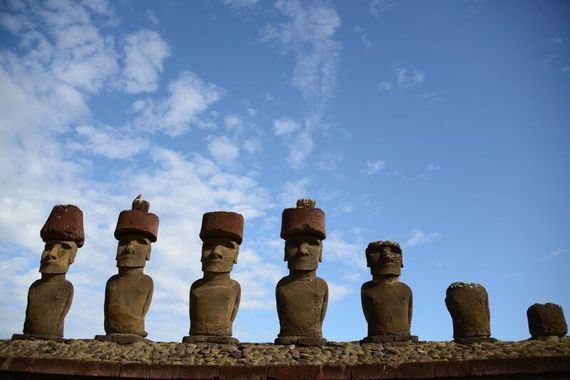 "Easter Island is more than 2,200 miles from the west coast of Chile and one of the furthermost inhabited locations from any continent. Its inhabitants gave life to a unique culture and passionately defended the values of their native lands," says Andrés Sanhueza, general manager of Hangaroa Eco Village & Spa on the island. "And there are more than 900 moai or ancient colossal stone sculptures all over that you will not find anywhere else in the world." Visiting Hangaroa Eco Village & Spa is well worth the journey. A design masterpiece, the resort plays homage to the sacred Orongo village on the island on the rim of the majestic Rano Kau volcano. 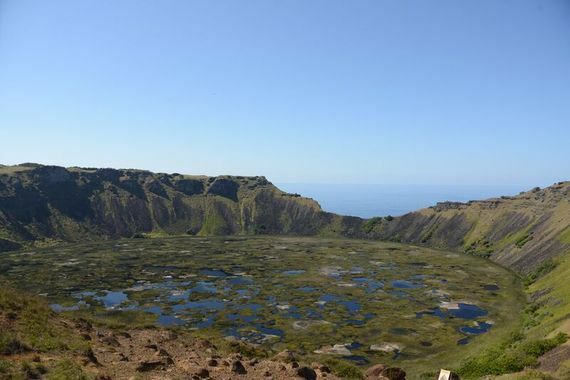 Orongo, where the competition for the Bird Man was held, is considered one of the most spectacular archaeological sites in the world. 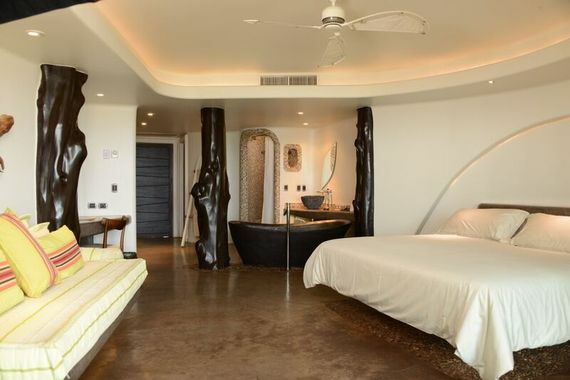 A beautiful intermingling of inspired architecture and harmonious landscaping, even the suites at Hangaroa Eco Village & Spa are jewels of natural light and fine materials like cypress trunks, clay and volcanic rock. 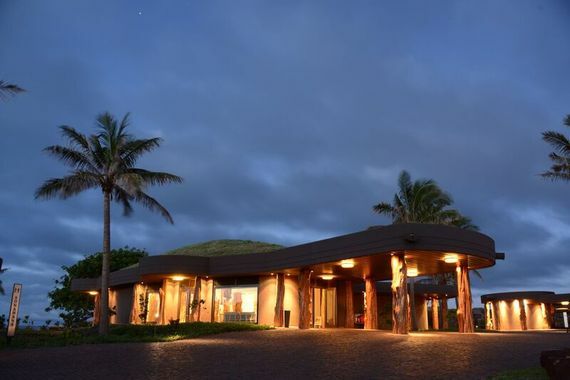 They offer a genuine immersion of the Rapa Nui environment. Ask someone about the dream trip that makes them seriously juiced and the answers are as varied as the people themselves. And while no adventure is the same, each one is special and even transforming. Perhaps we can take a cue from novelist John Steinbeck who said, "A journey is a person in itself; no two are alike....we do not take a trip; a trip takes us." Parade.com asked celebrities about their ultimate bucket list trip. Click to this story to read what these people said. And maybe you'll add some of these adventures to your personal bucket list? One of the many transporting suites at Hangaroa Eco Village & Spa. The majestic Rano Kau volcano from Orongo.